PokerStars is widely regarded as the world's leading online poker room by player traffic. PokerStars is renowned for a wide selection of different games, a steady flow of exceptional events and impeccable security. Although the events of Black Friday were very damaging to many online poker rooms, PokerStars have emerged with a new sense of respectability. Management figures at this room were cleared of wrongdoing by the DOJ - and praised for their diligent handling of player deposits. 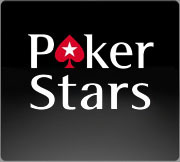 The PokerStars software performs to a high standard and is highly customisable. With adaptable avatar and table design features, one can impart many personal touches to enhance the playing experience. PokerStars put forward many of the latest online poker innovations. With Zoom Poker, new games such as Courchevel, Irish Poker and Fifty50 SNGs, this is a room always trying to improve its game offering. This is an excellent arena for players of every skill level, primarily because so many players populate the site. Every game fills quickly, so there are ample opportunities to build a bankroll and gain game experience. Navigation is particularly easy in the PokerStars lobby. Clear buttons are laid out to select either Ring Games, Tournaments, SNGs or Zoom Poker. Further options can be clicked to select your preferred game type - with a vast choice between Hold 'Em (Fixed Limit, Pot Limit and No Limit), Omaha, Stud, HORSE, Courchevel, Irish, Razz and more. Yet more filtering can be enabled to select your favoured stake or buy-in level, or even specific tournament series. It is often said that the opponents one may face on PokerStars tend to be more skilled than those on other poker rooms. Although this may be true at the middle and higher buy-in levels, my experience says that there is not a discernible difference in player skill level at the lower stakes. Although there are some 'regs' loitering at the tables, many weak players are attracted to PokerStars by the site's prominence in the poker media. This is fantastic. The PokerStars VIP scheme gives out cash rewards for regular players. One only needs to amass a certain amount of Frequent Player Points (FPPs) to be rewarded. Even more excitingly, Frequent Player Points can be exchanged in the VIP Store directly for cash, stylish PokerStars merchandise or other exciting options. Remember - PokerStars pro Dario Minieri swapped his FPPs for a Ferrari! PokerStars is the undisputed spiritual home of online poker tournaments. Every weekend, the 'Sunday Majors' bring out the best players on the Internet and produce some massive guarantees. Mega tournament series such as the SCOOP, TCOOP and WCOOP are also hosted annually by PokerStars. For players on a smaller budget, satellites and freerolls to these major events run regularly. Alternatively, PokerStars offer a vast array of SNG multi-table tournaments and smaller guarantees. PokerSchoolOnline partner with PokerStars to provide players with an excellent interactive poker training service. PSO is replete with a seemingly inexhaustible amount of content. PSO users can also gain access to special freerolls on the PokerStars client. Much of this content is rather long-winded in the form of long articles, so does not suit players with short attention spans. Nevertheless, serious students of the game will find the information very useful. PokerStars has the dominant share of the online poker market, with between 40,000 and 100,000 players typically populating the tables. Games are always filling quickly at every game variation and buy-in level. From micro stakes right up to the high rollers, games are busy! The major deposit and withdrawal methods are available. Like Full Tilt, Pokerstars allows deposits and withdrawals by VISA, Mastercard, NETELLER, uKash, Skrill, paysafecard, entropay and Local Bank Transfer. This is a healthy array of options. Withdrawals by Local Bank Transfer usually take 3 days to be credited.